It’s a 5 week Nutrition Challenge put together to give you some accountability and structure. Last year when we did this, the average person lost 9.7lbs and as a group we lost 455lbs. I want YOU to join. It’s $30 to enter and there are cash prizes to the winners. I want the total cash prizes to exceed $1500! I want to start initial weigh ins on 9/15/18. There’s no better time than now! 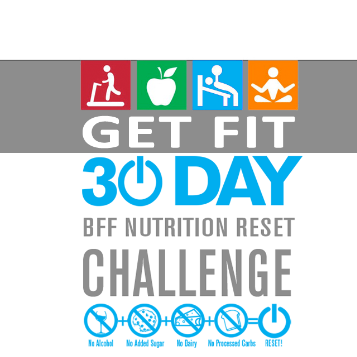 Here’s what you can do, go to www.bootcampbff.com/reset2 to get more details. Or if you have further questions,email me.